Have your first look at Ben Whishaw's Q and Javier Bardem's Raoul Silva, one of the most terrifying villains we have seen in Bond's films, with the release of the first theatrical trailer for Skyfall. Just last Friday, the world witnessed Danny Boyle's eccentric yet utterly breathtaking Olympic Opening Ceremony in London and one particularly entertaining spot would be the appearance of Agent 007, James Bond himself (Daniel Craig) in the short film, "Happy and Glorious", directed by Boyle. Anyway, who else can get the chance of a lifetime to jump out of the helicopter with Her Majesty, Queen Elizabeth II? 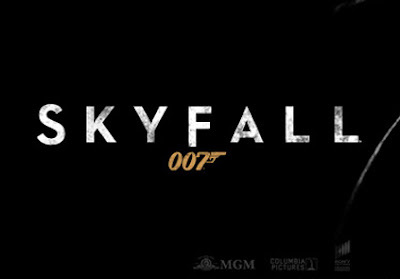 Following the high profile appearance, the marketing engine of Sony Pictures Entertainment is making full use of the publicity by releasing the first full trailers both domestically and globally (yes, they are noticeably different with the International trailer slightly edging out for its highlights on Javier Bardem's Raoul Silva). We have had our first teaser of the film back in May, but now you have a better grasp of Sam Mendes' touch of the legendary spy thanks to these clips. Hit the jump to check both trailers. First, the US Domestic Trailer. 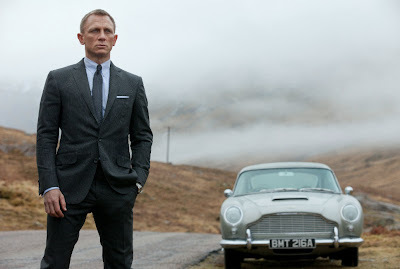 The TV spot released to coincide with the Olympic Opening Ceremony. And here are some of the official images released thus far. 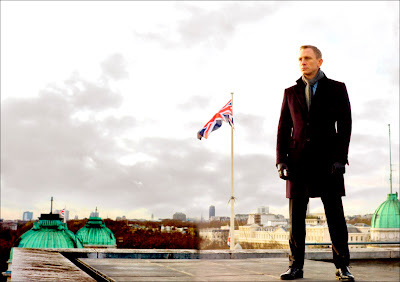 Starring Daniel Craig, Ben Whishaw, Javier Bardem, Ralph Fiennes, Naomie Harris, Bérénice Marlohe, and Judi Dench reprising her role as M, Skyfall is set to première in London on 26 October to coincide with the 50th anniversary of the entire Bond film series.